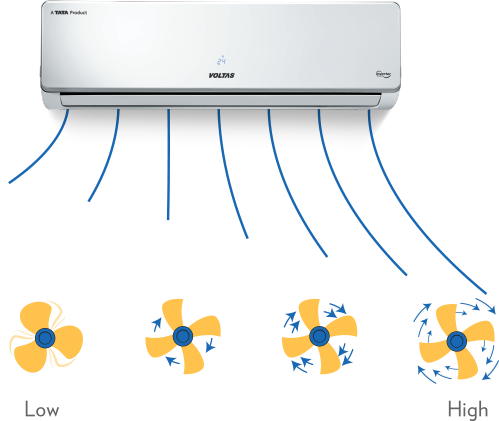 Runs at different cooling capacities for your different cooling needs. 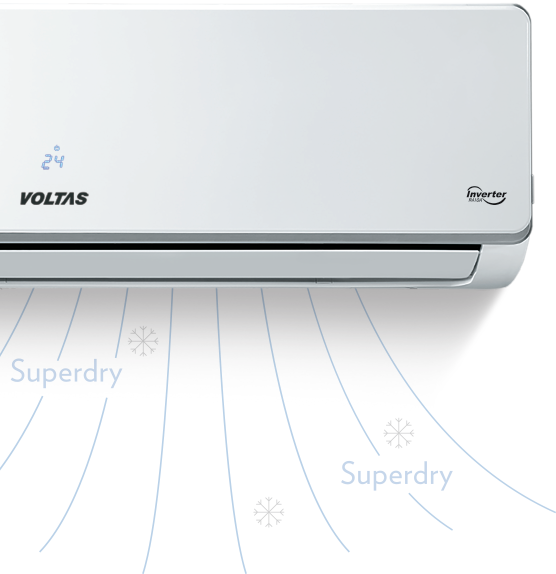 Voltas Adjustable Inverter AC has a unique Adjustable mode which can run on different capacities depending on number of people and ambient weather conditions. 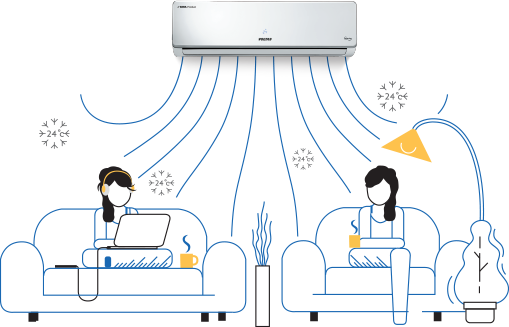 Adjustable mode delivers predefined lower cooling capacity by limiting inverter compressor’s running frequencies depending on the number of people in the room and ambient weather conditions. It runs on both 1 Ton and 1.5 Ton reducing power consumption. This helps in reducing the levels of CO2 in a closed room to increase the level of fresh air ventilation. The filter removes volatile organic compounds and other toxic gases. This controls the PM 2.5 levels in the room to provide dust-free fresh air. PM 2.5 filter is a air filter for indoor air protection that uses natural passive ventilation to protect the indoor air quality. 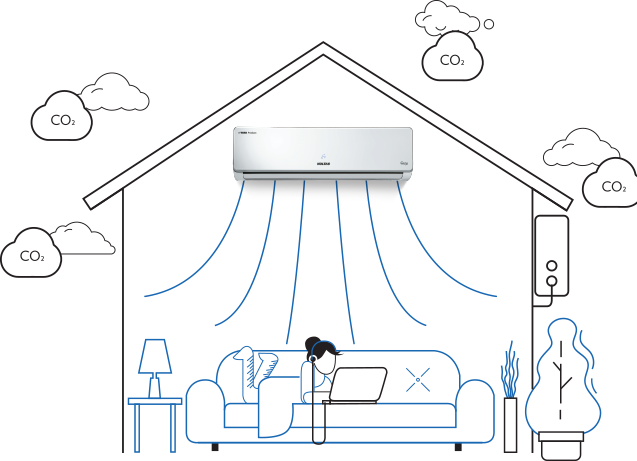 The Voltas Adjustable Inverter AC cools even at 52oC with its superior cooling capacity, it cools easily at high temperatures. 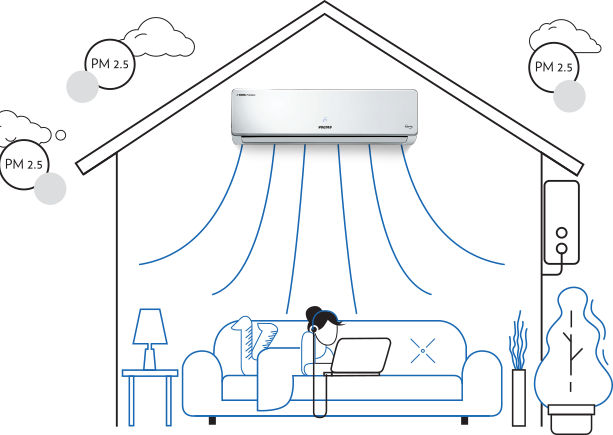 Voltas Adjustable Inverter AC delivers higher air flow with its unique louvre design to help cool the room faster with no hot spot in a short period. You have 4 types of fan speed options to choose from. 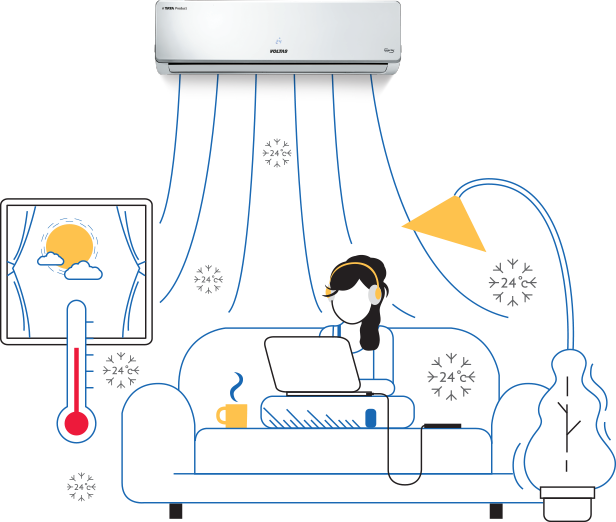 This ensures superior comfort and convenience in all types of heat. 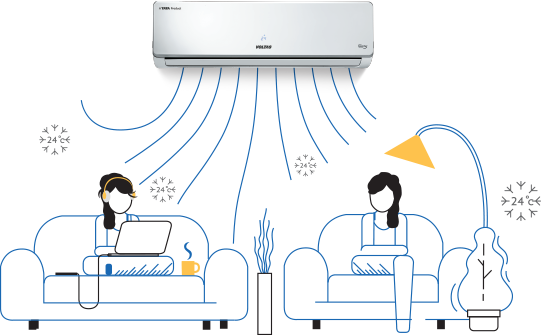 Voltas Adjustable Inverter AC can work under wide operating range of 100-290V which ensures the AC stays protected even if there are voltage fluctuations. Moreover, the start-up voltage required to start the AC is 100V which is very low. Hence, there is no need to use an additional stabilizer with the AC. *The features are available on select models only.